“I grew up on Chester Airport as a kid. My father and his two partners bought N68952 and installed the O-200 engine to tow gliders for the glider club that resided at the airport for years. We spent a winter completely rebuilding N68952, and as a young boy I helped with everything from painting to rib stitching wings to final assembly. 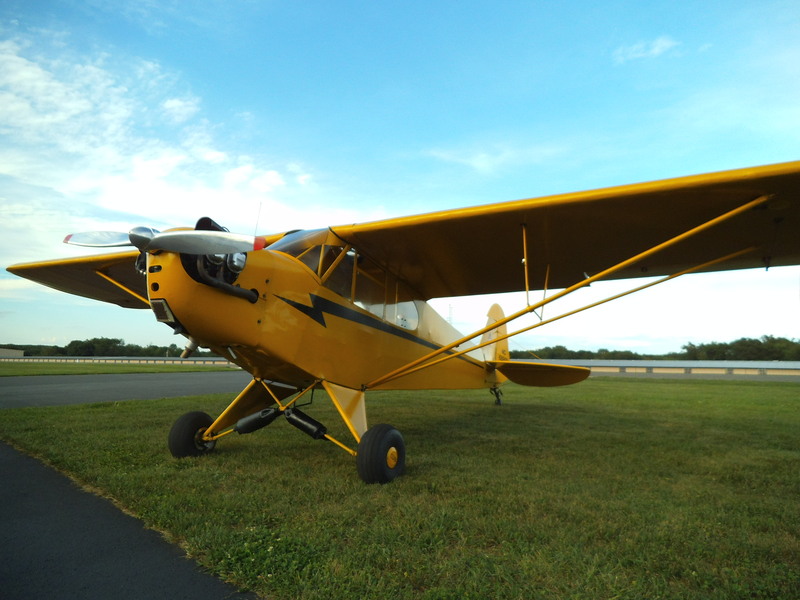 This Cub is more than an airplane to me, it’s part of my life. I spent my summers chasing tow ropes, flying gliders and getting rides in tow planes. I learned to fly in the Cub as I flew with my father and his partners along with a fair amount of glider time too. I soloed in the Cub before I had my driver’s license and have been flying it ever since. I completed my private pilot license in Cessna’s and got my rating at age 20.